With summer now well underway, horses across the land will be spending more time than ever out of their stables and into open air, where they can enjoy the sunshine. But while this is a season we might associate with prosperity and optimism, it’s also one that carries a few risks for our horses. Among these risks is an unpleasant phenomenon called Summer Seasonal Recurrent Dermatitis, or Sweet Itch. As you might expect, this condition causes the animal to itch – sometimes to the extent that they cause themselves so much damage that they can’t bear the sensation of tack against their skin. Nutritional supplements can play an important role in maintaining the health of a horse’s skin. In the first part of our two-part series on the topic, we looked at the role that the skin plays in fighting off harmful pathogens, and examined some general rules that one should follow in order to keep the horse in good health before resorting to supplements. As is the case with many mammals, the largest organ in a horse’s body is the skin. The skin forms a vital part of the immune system – it’s the initial brute-force barrier which prevents the overwhelming majority of harmful pathogens from finding their way into the horse’s body. Keeping it in good shape is therefore essential if a horse is to avoid contracting a whole range of harmful conditions. Owning a horse is one of the most rewarding and pleasurable experiences in life. These amazing creatures offer companionship, love and trust in addition to the enjoyment of riding and experiencing the great outdoors. However there is a great deal of responsibility and effort required to owning a horse much more than just offering them a field and a stable. In addition to the daily chores of mucking out, turning out, and pasture management, there is also regular grooming, feeding, shoeing, inoculations and worming to consider. Before you start to browse the many internet sites for your perfect horse, do some research first. How are you going to keep your horse, in livery or at home? If you are going to stable your horse at a livery yard, ring round local stables and ask to go and see their facilities. If you are going to keep your horse at home, ensure that you have prepared a suitable paddock, which is securely fenced, has natural shelter and a source of water. You may also want to consider the need for a stable or field shelter. Although it is true that many horses can and do live out in both the summer and winter months, there are some times when you need to put them in a warm place, for example in bad weather, or if your horse gets an injury and requires box rest. Don’t buy the first horse you see (unless you really fall in love with it). When you go to view a potential horse, although it is extremely important to put it through its paces in the school, don’t overlook other aspects of the horse, such as its health. For a relatively small fee, you can have a ‘vetting’ completed by an Equine Vet, which will uncover any potential health problems. In addition to a vetting, ask the current owners plenty of questions about their current care strategy. When did they last have dental care? What worming programme to they follow? Etc. When you bring the horse home for the first time, put them in the stable and let them relax after having travelled in a tight space in the horsebox; it is imperative that you give them time to rest, recuperate and to get comfortable with their new surroundings. After a day you can then release them into their field and let him or her have a good look around. Remember this is a potentially stressful time for your horse, so don’t overdo it just yet even though you are probably dying to hop on and go riding into the sunset. The best way to bond with your horse during the first week is to spend time grooming it. Horses are herd animals, and love to be groomed so use this is an opportunity to get to know your horse and them to get to know you. It may be a good idea to speak to your local equine vet and discuss implementing a suitable care plan for your horse. One of the most important health issues with a new horse is worming. When a horse is moved to a new yard or home you should worm them with a good broad spectrum wormer such as Equest Pramox Horse Wormer. Despite where your horse it up to with its existing worming programme, it is advisable to use Equest Pramox as your horse is more vulnerable to a worm infection when moving to new surroundings. You should then discuss with your vet or a trained SQP (our staff) about a suitable long term worming programme. Worming programmes involve more than just using an oral wormer every 8 weeks, and can be tailored specifically to your horse, so you can keep them in the best of health. The fields your horses are turned out in are the main source of their nutrition; however they can also be the main source of parasites, particularly roundworms. 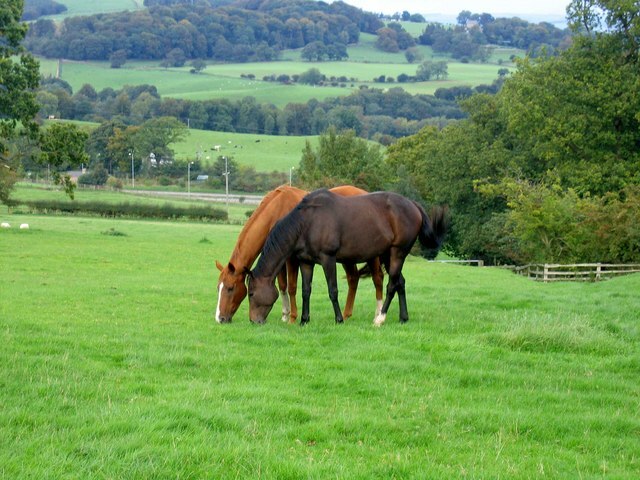 Regular maintenance of your fields is therefore essential not only to provide your horse with adequate grazing and nutrition throughout the year, but to also reduce the risk of worm re-infestation. 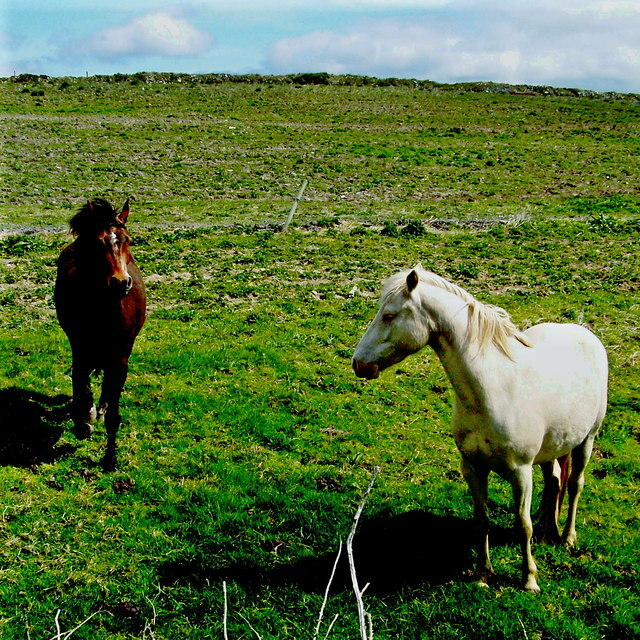 The domestication of horses has challenged the ambient worm/horse relationship. In the wild, horses are free to graze and wander over many acres, which naturally reduces the chance of re-infestation with worms. In comparison our domesticated horses are limited to one or two paddocks, so it is our responsibility as horse owners to try to replicate ‘natures’ way of controlling worm populations to ensure our horses stay fit and healthy. By resting each paddock for at least three months between grazing, this could help to reduce the worm egg and larvae population in the field. Resting is more advantageous during certain times of year, for example, hard frost and cold temperatures help to break the life cycle of certain worms. Resting also allows for the grass to recover and grow maintaining suitable levels of forage for the horse. An average horse can produce approximately 24kg of droppings a day – that’s a lot of poo! And unfortunately allowing droppings to accumulate in the field just increases the chances of your horse getting re-infected with worms. If your horse has worms, these worms will lay eggs which are passed in the horse’s dung. The eggs in the dung then hatch into larvae and spread into the field, where they can be ingested easily when your horse is grazing. This process creates a viscous circle, and as horse owners it is important to try and break this cycle. Removing horse droppings from the paddock may be back breaking work, however if done regularly can really help to reduce the egg burden in your field. This option may be more difficult for some, however if you have the opportunity to cross graze with other animals such as cows and sheep, this is an excellent form of worm control. Most worms are specific to one host, which means they are unable to survive if ingested by another animal. If you are considering this method, ensure that your field is stock proof and that your horse is gradually introduced to the animals. 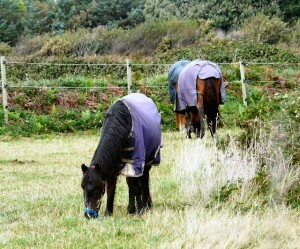 Unfortunately more horses, means more dung, which means potentially a greater worm burden in a relatively small area. In addition to risking your horse in a field with a potentially high worm population, the quality of the forage can also be reduced. Although not every horse owner is responsible for the upkeep of the field their horse is kept, it is important for you to be aware that all paddocks should be sustained to an adequate level to ensure your horse is in the best possible health. Harrowing, fertilisation and weed management (ragwort) are all very important factors in establishing and maintaining a good field. If your horse is kept at livery, discuss with the yard manager how they maintain your horses paddock. Alternatively if you have your own land, it may be useful to contact a local farmer or contractor. It may not be possible to put all of these actions into place, however the more you can do to help control the worms in your paddock, the better. Pasture management is just one important factor in the battle against worms, for more information about other worm control measures such de-worming medications see our other blogs. It is amazing how many people think you can buy a horse, pop them in a field and just ride them whenever you want. But there is so much more to horse care from shoeing to grooming and exercise to a good equest horse wormer. Horse care is not easy. If you have a dog chances are you don’t just leave your dog to survive on their own. You take them for their vaccinations; you worm them regularly, walk them and ensure they are well fed and cared for. The same applies when you own a horse, there is so much to take into consideration and one of the most important things is worming your horse. The best way to ensure that you are caring for your horse properly is to put a good annual worming programme in place. Get horse wormers advice if necessary before setting out with your plan. Your plan should include all considerations especially weather changes when worms start to breed and spread throughout your grazing areas. You can buy cheap horse wormers that will tackle the different worms that horses tend to get. It’s important to realise that your horse will never be completely worm free, but to avoid problems later on you need to keep these parasites to a minimum. During the winter months you will want to treat your horses for red worm larvae and bots. This is the time when these parasites start taking hold of your horse. During the spring time and autumn it is essential to treat for tapeworm as these worms can cause serious health problems such as colic. Remember that if your horse is in a field with other horses, you will need to work out your annual horse wormer programme to coincide with the other horse’s schedules. Using a comprehensive worming programme including good quality horse wormers like equest pramox horse wormer and equest horse wormer with pasture management and worm egg counts can provide a robust schedule and help reduce wormer resistance. I think the biggest mistake many horse owners make when giving their horses an oral wormer such as equest horse wormer or equest pramox horse wormers, is to give the wrong dosage. Many people give their horses too little and under dosing has virtually no effect on the horse’s worm problem. It is important to know your horse’s weight and then follow the dosage directions carefully to ensure you are giving your horse the best tools to fight off these unwanted parasites. A horse’s environment also plays a role as to when you need to give them their equest or equest pramox horse wormer. Pasture management can help to reduce your worm egg burden, which in turn can help to reduce your reliance on using certain wormers regularly such as equest horse wormer. Pasture management include poo picking, resting paddocks and cross grazing. Is it Necessary to Stable a Horse After Worming? As any horse lover and keeper knows; equine worms are an ever present threat. They can have an effect on all breeds of horse, ponies and donkeys and can be caught within the stable or when they are out grazing. Failing to control these parasites can result in severe weight loss, colic and even death. But aside from giving equine pramox or another type of wormer to your horse, do you need to do anything else? Some people argue that stabling a horse after worming is correct practice; however changing a horse’s routine can be very disruptive. When your horses have worms, you want to go about it correctly to maintain a control on the problem; unfortunately you will never completely eradicate worms. As worms are spread through droppings it is wise to take precautions to make sure your beloved animals have minimal contact with the parasites again. After worming your horse or horses with the appropriate wormer for that time of year, you should leave them in that field for 24 – 36 hours. After this process you should relocate them on to a fresh, clean field. If you haven’t been doing regular dung collecting, to help the paddock recover and reduce the egg burden, combine harrowing with a good lengthy rest (approx. 3 months). Harrowing a dirty pasture will effectively spread the worm eggs and larvae, and combined with pasture resting reduce the worm population. If your horse predominately spends time in the stable, after worming you should keep them stabled for approximately 48 hours. After this period, it is wise to completely muck out the stable, removing all dirty bedding. After the stable is empty, thoroughly clean the entire area with a tough disinfectant. Replace all the bedding with a fresh variety and make sure to scrub all feed and water buckets thoroughly. When you have a new horse, you should treat them with equine wormers such as equest pramox as a general rule. 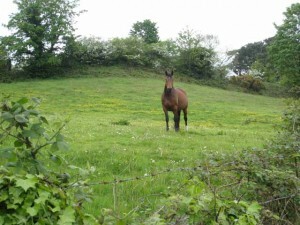 They should be isolated to their own field initially and kept away from your other equines. This will prevent any unknown parasites from infecting other horses in the area.